Since 2015, the UK healthcare sector sector has (along with education and social care) been responsibilised for noticing signs of radicalisation and reporting patients to the Prevent programme. The Prevent Duty frames the integration of healthcare professionals into the UK’s counterterrorism effort as the banal extension of safeguarding. But safeguarding has previously been framed as the protection of children, and adults with care and support needs, from abuse. This article explores the legitimacy of situating Prevent within safeguarding through interviews with safeguarding experts in six National Health Service (NHS) Trusts and Clinical Commissioning Groups. It also describes the factors which NHS staff identified as indicators of radicalisation – data which was obtained from an online questionnaire completed by 329 health care professionals. 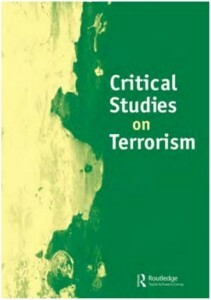 The article argues that the “after, after 9/11” era is not radically distinct from earlier periods of counterterrorism but does contain novel features, such as the performance of anticipatory counterterrorism under the rubric of welfare and care. Next story Bangladeshi Militants: What Do We Know?